So let’s say that one day you’re opening up your email or your social media account, as usual. Only, instead of scrolling through the same old boring messages, you stumble across something different that catches your eye. Out of the blue (although it’s not really if you’re been putting yourself out there), you’ve managed to land a message from a prospective new client. They’ve noticed your work online, or they’ve heard about you from a friend. Now, they want you to contact them to start a new project. This is the type of message you want to look at when you sign into your accounts! Of course, you perform your part, and you reach out to your prospect. Unlike many of the flakes and the tire-kickers out there, this particular client is hot, ready to move forward, and they actually have the funds to pay for your project. You can almost hear the cash register ringing in the back of your mind as you think of your past due bills that need to be paid. Your mouth starts to water as you think of the celebratory lunch (or dinner) you’re going to treat yourself to after your invoice is paid, too. Your client is ready to roll, and your bank account (or your online payment processing account) is ready to receive a payment, so that means that you’re ready to accept the client’s money and start the project, right? First, you’ll need to make sure that you take steps to protect yourself. You’ll take these steps by making sure that you place each and every detail about your upcoming project in writing. You’ll put these details in writing via a contract or a proposal. Now, if you market yourself in the freelance world long enough, then you might have heard the two terms used interchangeably. However, you should know that sometimes, there are differences between the two. Before we go any further, let’s take a quick peek at the differences between a contract and a proposal. …An agreement creating obligations enforceable by law. 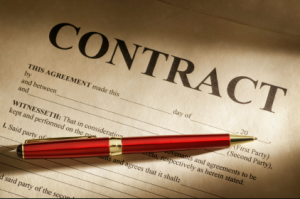 The basic elements of a contract are mutual assent, consideration, capacity, and legality. Contracts are promises that the law will enforce. You’ve seen contracts a million times. 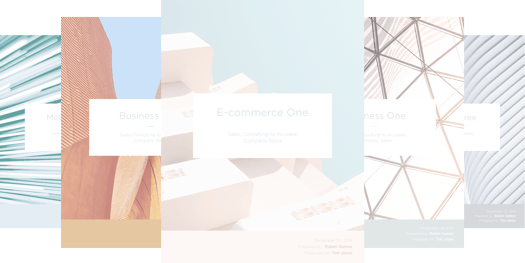 They’re print or online forms that spell out the particulars of a business arrangement. Most important, they require a signature to become legally binding. Should anyone break the terms of the contract, then legal remedies can be pursued to the injured party. …Solicited or unsolicited submission by one party to supply (or buy) certain goods or services to (or from) another. Unlike an offer, a proposal is not a promise or commitment but, if accepted by the other party, its proposer is expected to follow through and negotiate for the creation of a binding contract. If submitted in response to a request for proposals (RFP), it normally constitutes a bid. A proposal can turn into a legally-binding contract, but the language of the contract doesn’t have to read like a proposal. A proposal becomes a legally binding contract if you’ve instructed your client to abide by the terms of the proposal, sign it, date it, and send you funds. In other words, you can combine the proposal with a contract in order to save time. Or, you can start out by sending out a proposal and then signing a separate contract, produced either by you or your client. You probably didn’t start your business in order to have to deal with legal mumbo-jumbo, right? Well, the good news is that you don’t need to obtain a law degree in order to operate your present business, but you will need to understand the various ways that contracts and proposals will legally protect your business dealings. Let’s jump into those explanations, now! There’s nothing quite as defeating as realizing that you’ve put your heart and soul into a project, only to learn that it’s not at all what your client was expecting. “But I could have sworn that’s what the client asked for!” you’ll think to yourself with a heavy heart. Well, putting things in writing takes away all of the second-guessing. Not only is this important for you when it comes to protecting your sanity, it’s also important to spell out your project details in writing in order to clarify expectations to the client. Let’s say that your client indeed gave you the wrong information to start the project. Or (and this has happened to me), your client might not have provided you with all of the necessary tools to perform the scope of the project that you’ve both agreed to. Worse, you might have a scope creep client on your hands–they’re the type who try to take advantage of you by requesting more work than what you both originally agreed to (For free, natch!). If you failed to place the project scope and expectations in writing, then you really don’t a way to dispute your client’s dissatisfaction. But when you place all of the details in writing, then you can calmly direct your client’s attention back to the document they agreed with before the project began. How would you like to encounter scope creep client who tries to convince you that they’re paying you too much for the project, and they deserve to request more work based on what they’ve paid you? Or how would you like to receive less money than what you and the client negotiated, simply because the client felt like paying you less money at a later date? These are just a couple of issues that often arise, and these are reasons (along with others) why you’ll need documentation that spells out how much you should be paid for your project. Ideally, a formal contract should detail the line items your final project price entails. Certainly, your proposal will detail all of your project line items. By the way, if you’re confused as to how you should go about assigning financial value to your proposals, then you should check out the easy solution that Bidsketch provides. Although we’d love it if our clients treated us fairly, there will be times when your client pulls a wolf-in-sheep’s-clothing routine on you. You’ll feel betrayed and shocked. You’ll need to start the process of finding work all over again, but the sting of the incident will hurt a lot less when you’re able to take legal action against your client based upon your written documentation. It’s hard for a client to argue how much they should pay you if they’ve agreed to your fee in writing. They can’t pretend that they had no idea of what to expect from doing business with you if you’ve outlined (and detailed) the scope of your project in the contract. In other words, no matter what they try to argue or invent (and some will try it), they can’t battle a contact that they’ve agreed to and have signed. Whether you decide to produce a separate proposal and contract, or whether you decide to produce a combo proposal/contract, here’s some important tips that I’d recommend including. You don’t have to use legalese in the body of your contract, but make sure that your client understands as many details of your project and your operating procedures as humanly possible. You’re not trying to be overbearing. You simply want to prevent questions, doubts, and concerns. You’ll come across as a transparent professional, and you’ll protect yourself from any last-minute “gotchas” that a bad client tries to throw your way. 2. Create a termination clause. If there’s one piece of advice that I want to scream from the rooftops, it’s this point. When you agree to take on a client’s project, then realize that your marketing process will either slow down or come to a grinding halt. Also realize that when you take on a new project, you’re calculating your project into your revenue projections. When a client places a project on hold, or when they stop the project completely, then they’re taking away your ability to generate revenue! You can’t continue to earn money from the client, and any opportunities for earning money from other prospects have been lost! You should be compensated for your loss, and here in the U.S., you have the legal right to be compensated for your loss. The key is to detail the type of compensation you want in the body of your contract. For example, I give the client x amount of days that I need for termination of my contract. If they fail to give me proper notification, then according to my contract, I’m allowed to invoice the client for whatever term I’ve set (For example, a month’s retainer fee). This allows me to generate some money from the deal, and this provides me with a financial cushion until I can revive my marketing efforts. Some people call this a kill fee, especially if they bill the client by the project instead of a monthly retainer. But no matter what you call this, DO NOT leave this out of your contracts. 3. Detail how quickly you expect to be paid. How many times have you heard of service providers who moan about waiting for their invoices to be paid? Here’s a secret: Your client knows that they need to pay your bill, and NO, they didn’t forget the fact that they owe you money. Left to their own devices, they’ll hold off on paying you for as long as it suits them. This is how many struggling companies manage their cash-flow, and this also allows some clients to take advantage of you by allowing you to hang on in hopes of one day getting paid. You can put a stop to this foolishness immediately by spelling out in your contract how soon you expect to be paid. Do you want to be paid immediately upon the client’s receipt of invoice? Then say so in your contract. Can you afford to allow your client a little leeway in paying your invoice? Then use language like net 10, net 20, net 30, etc. This means that the client has x amount of days to pay you after they’ve received the bill. Note that your client might try to negotiate the terms, and that’s fine. Just make sure that you’ve come to an agreement that the client signs off on the agreement BEFORE you begin the project. Nothing holds up during legal disputes like a judge or an arbitrator being able to look at your client’s hand-signature. If you do nothing else, ask your client (at the top of your contract or proposal) to look over the language of your document, and hand-sign it. I prefer asking the client (in writing at the top of my documentation) to print out the documentation, hand-sign it, scan it, upload it, then send the document by email. This prevents the document from getting lost in the mail, and I can accept the documentation from anywhere in the world. There’s all sorts of ways that you protect yourself physically, mentally, and emotionally. Shouldn’t you take steps to protect your business process and your revenues? Of course, and one of the best ways to do so is to protect yourself with signed contracts and/or proposals.